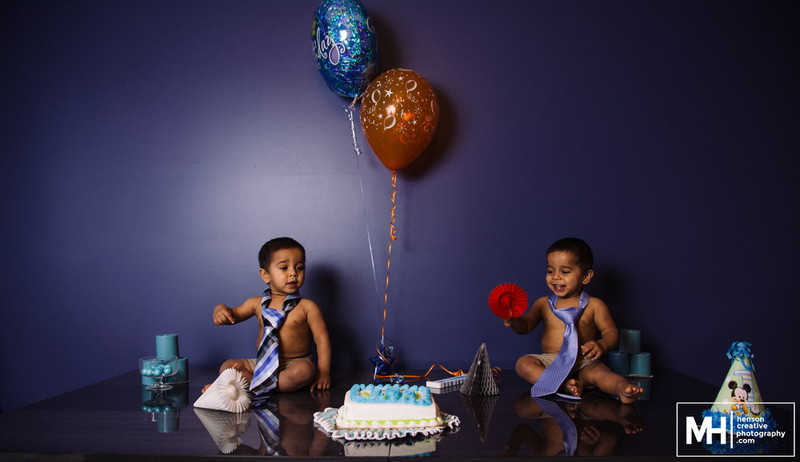 When I was given the opportunity to take photos for a cake smash session featuring one-year-old twin boys, I wasn’t sure exactly what to expect! I knew that there would be cake and the smashing of said cake, but beyond that? I dunno! As with any of my photo sessions, I spent a good deal of time looking for inspiration and thinking about how I wanted to approach it. I showed up a bit early to the session with a solid game plan and a lot of excitement. Once we got mom, dad, and the twins ready, we started off with a few shots in the backyard. 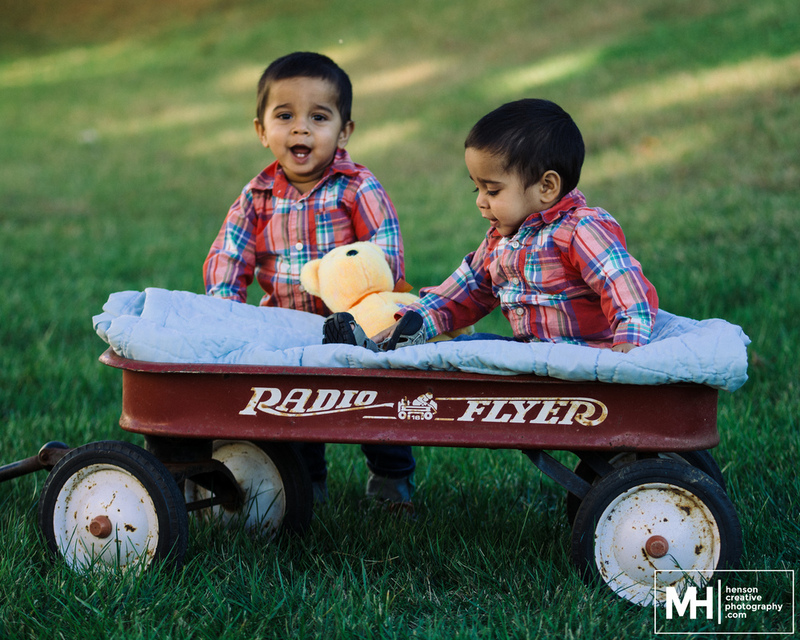 I was able to track down a vintage Radio Flyer wagon, add a blanket and a couple Winnie the Pooh bears, the twins, and you have a great combination for some classic baby cuteness! When the boys weren’t focused on waving at every car that drove by (they’re a friendly crew! 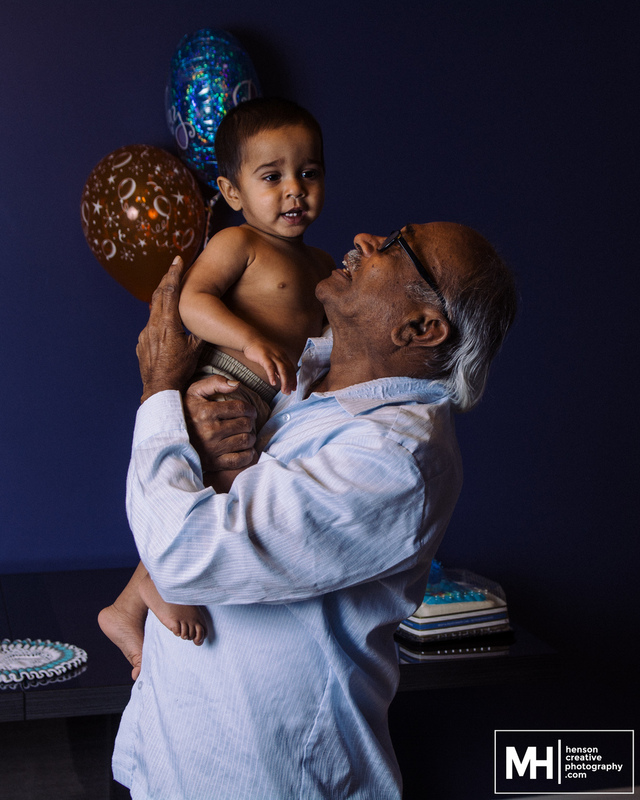 ), we snagged a couple great photos and moved inside for the part that everyone had been waiting for. The cake smash area was set up in front of the perfect wall, on top of the perfect table (love the reflections!). While the twins were prepped, I got my trusty studio lighting ready to go, and then we let the smashing begin! After several moments of tentativeness, the boys got into it and got their hands dirty. A few short moments later and it was all over! Now that it's over and I've had some time to reflect, I must say, I had a blast! I mean, babies are cute anyway but add some sugar and some icing and you have quite the combo! I’m certainly looking forward to my next one!